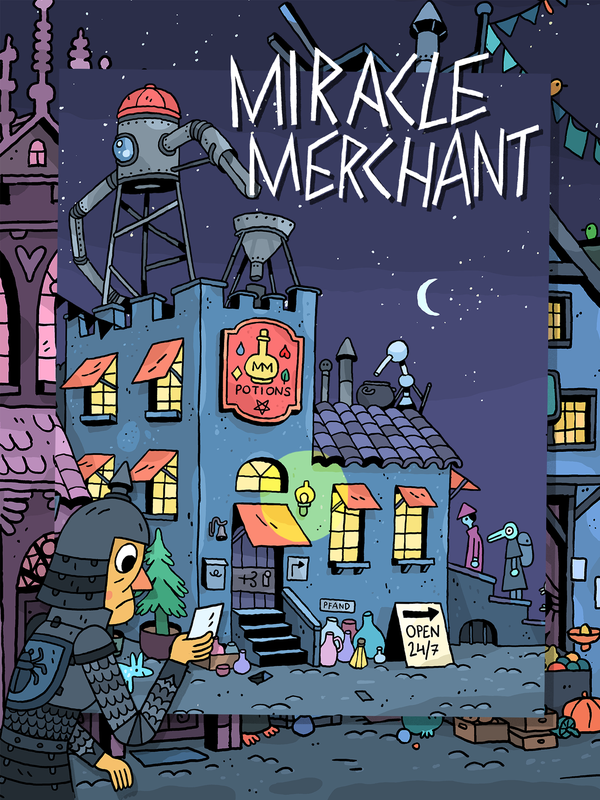 Miracle Merchant will be available on the App Store (1.99 USD Premium) and on Google play (free to play with Video Ads and 1.99 USD Premium unlock). 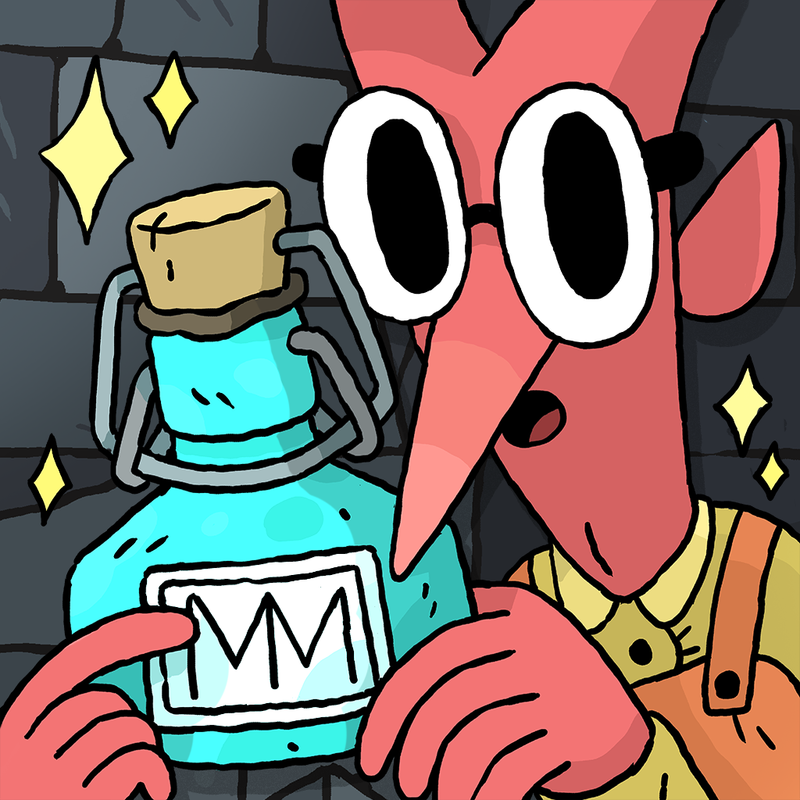 In Miracle Merchant you become the apprentice of a master alchemist. 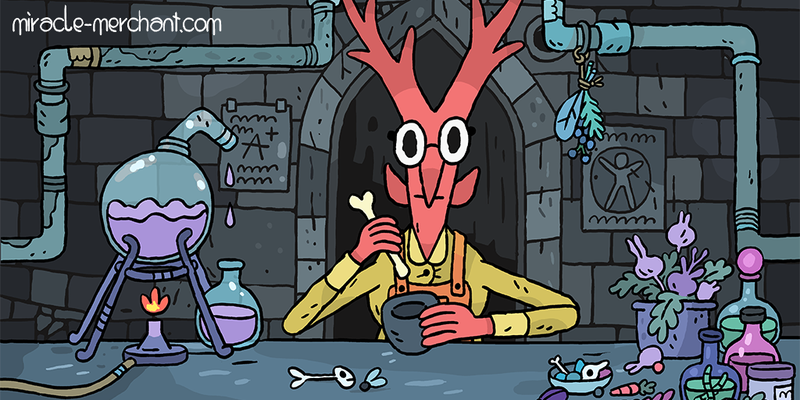 You brew potions to fulfill the needs of your thirsty customers. 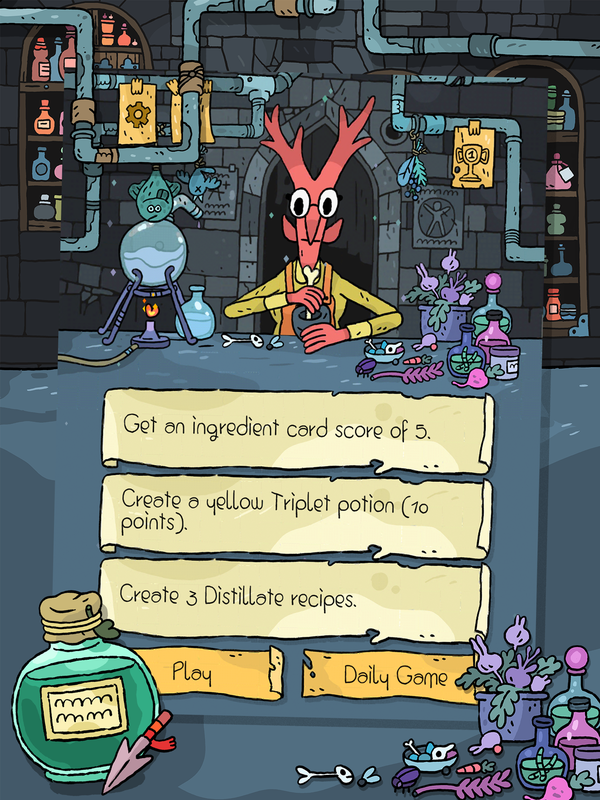 Each game has a unique set of ingredient cards that are played from 4 stacks. 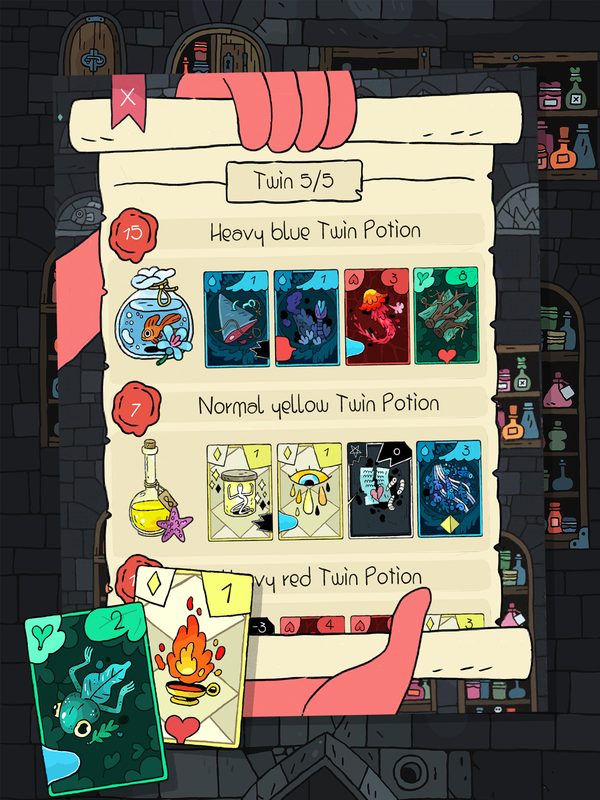 Each stack contains cards of one color and a few evil black ingredients. 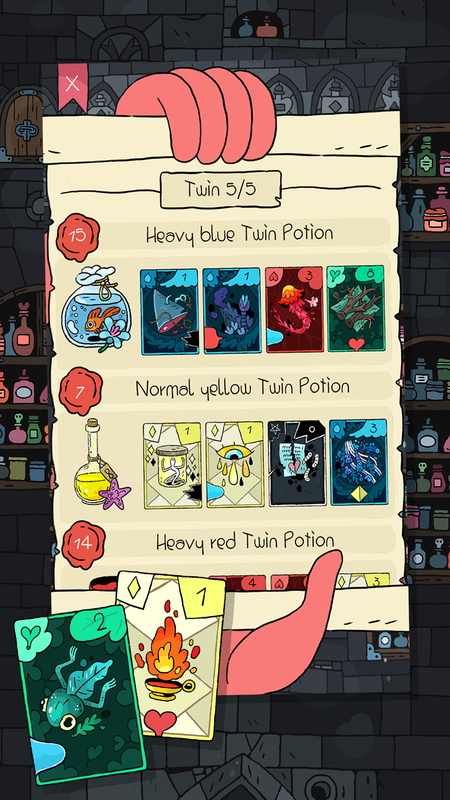 Create powerful potions by combining the right cards while also completing the wishes of your customers. A game is complete once all 13 customers are satisfied. 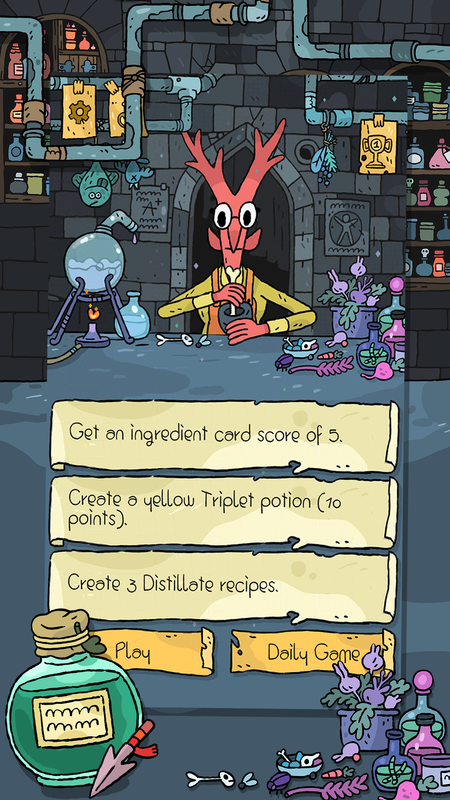 To keep you busy each day 3 new task are available to challenge you. 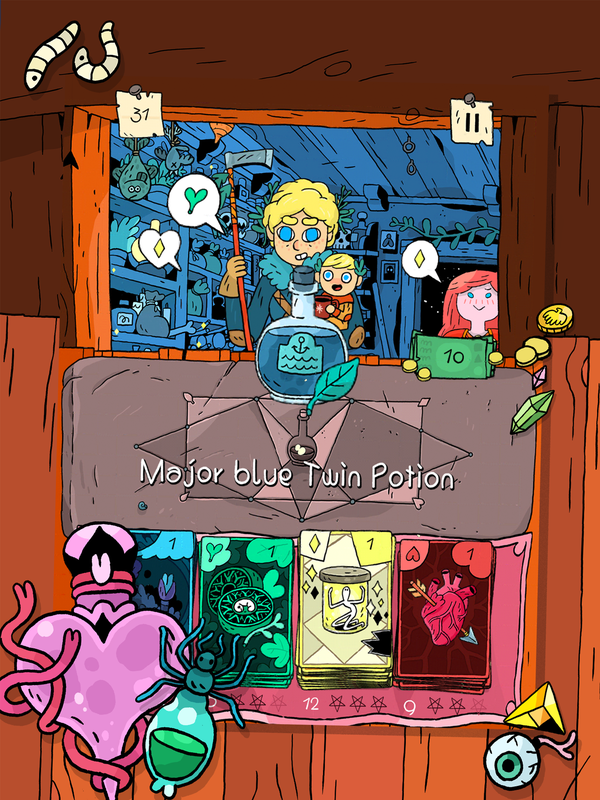 The game also includes a daily mode where each player is able to play the same deck once. 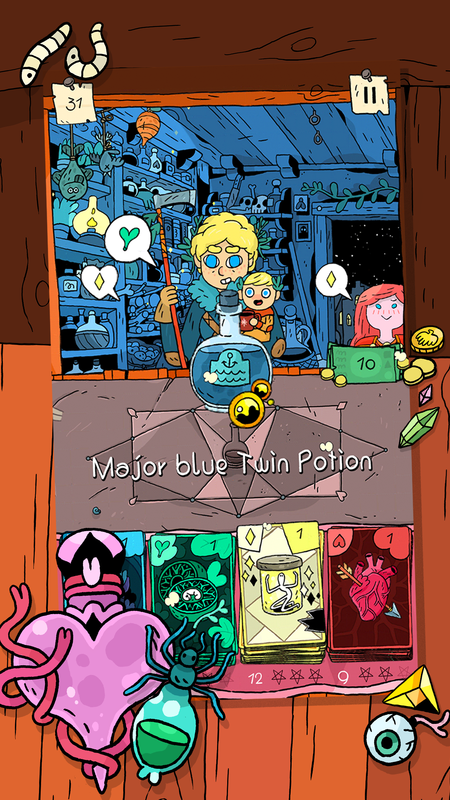 In addition to that you can collect 41 potions to complete your potion collection. 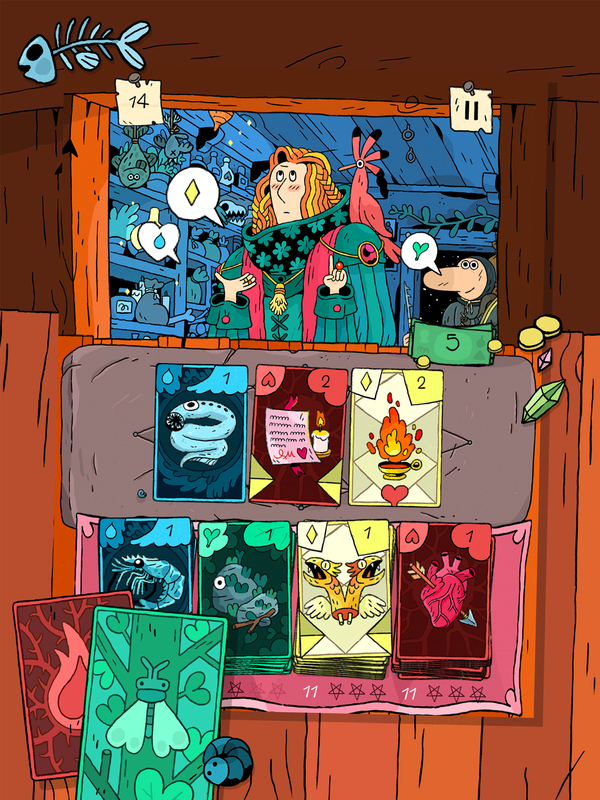 In good solitaire style fashion game sessions are short, repayable and offer a good amount of challenge. 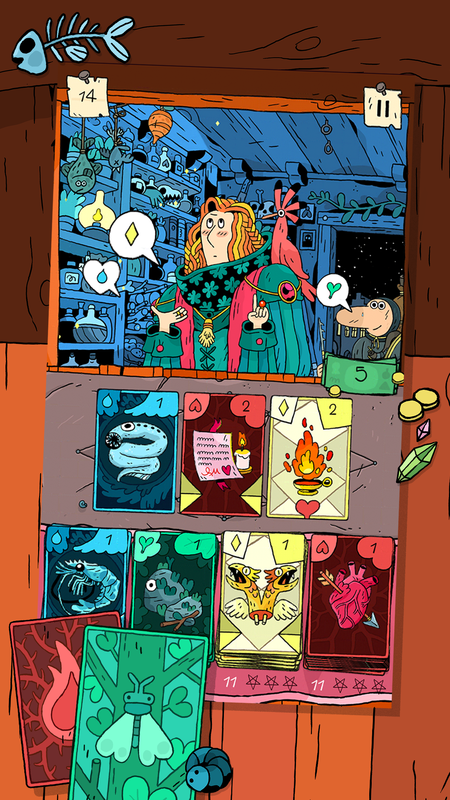 The randomly generated cards keep things fresh and can create a variety of combinations each game. 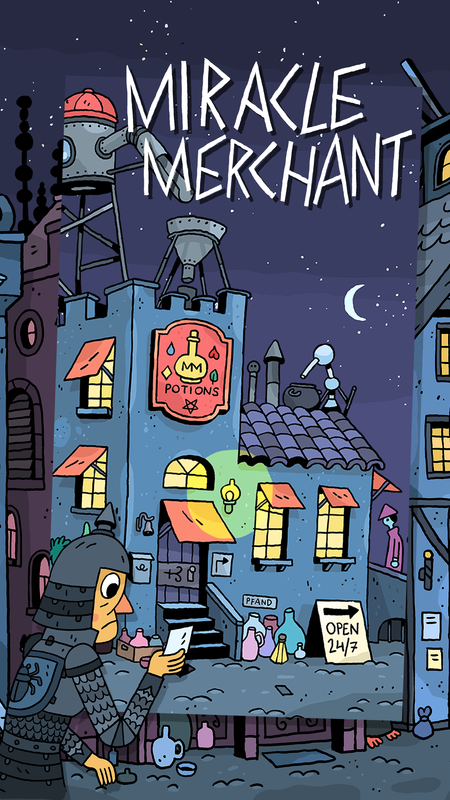 Click screenshot to see high res version.